Amfin offers a variety of pre-treatments including grit blasting, abrasive blasting and non-metallic blasting. Other pre-treatments incorporate cleaning and degreasing of materials, acid descaling of austenitic stainless steels and nickel based alloys. Amfin has a number of abrasive blasting cabinets and one large blasting room, to allow effective surface preparation. The media types available are both dry and wet aluminium oxide, glass bead and plastic. This gives Amfin flexibility when working with various metallic alloys and composites. A reach, compliant, solvent vapour degreasing process, along with a suite of aqueous cleaning options, gives Amfin flexibility in component cleaning. Amfin can work with customers to find the best cleaning and degreasing solutions for a wide range of materials and contaminants. Amfin’s state-of-the-art automated chemical processing facility ensures that Amfin can provide highly reliable and repeatable processing, whilst guaranteeing component traceability, environmental performance and occupational health standards. 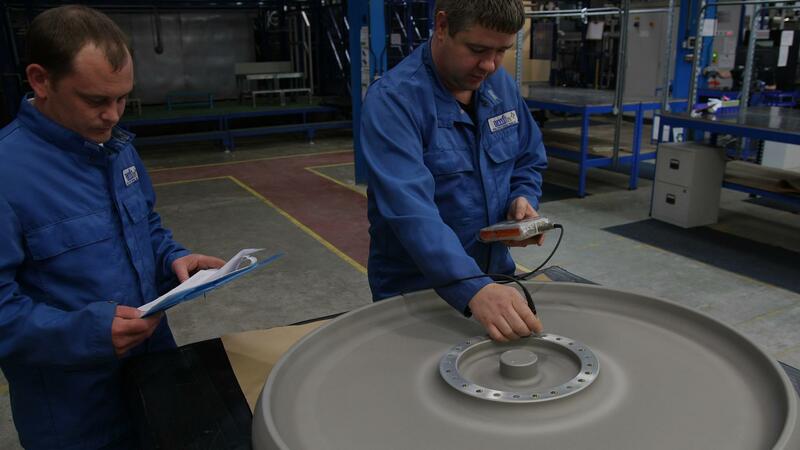 Our process tank sizes give us flexibility to treat small one-off batches to large batch serial production. Hot and Cold Aqueous Cleaning & Vapour and Liquid Phase Solvent Degreasing/ Abrasive Blasting (Dry and Wet) / Semi-Controlled Abrasive Blasting / Organic Media Blasting / Acid Descaling of Austenitic Stainless Steels & Nickel based Alloys.